Now that I'm getting older, my skin seems more susceptible to dry patches, dullness, and congested pores. One way of combatting all three problems is to exfoliate once or twice a week with a gentle scrub or mask, which makes products like New Radiance's Facial Glo Papaya Cleansing Scrub ($26) essentials in my skincare arsenal. 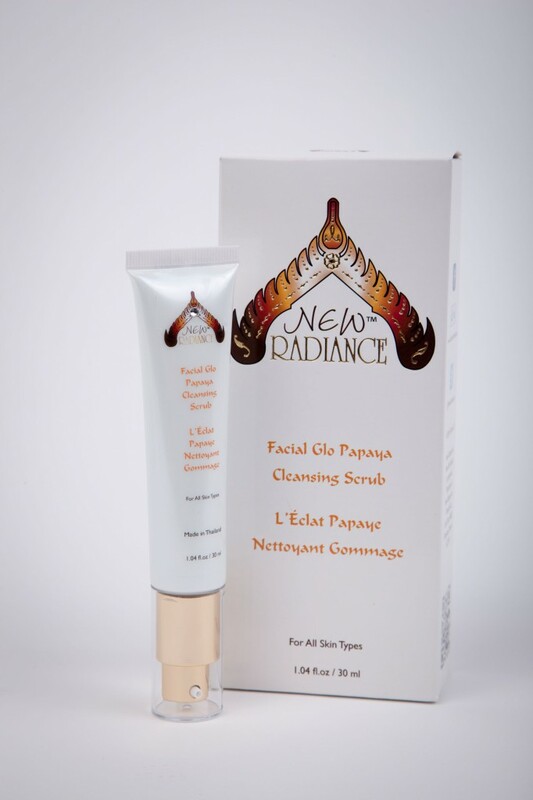 The star ingredients in New Radiance's product are papaya extract and salicyic acid; together, they gently exfoliate and unclog pores. The Facial Glo Papaya Cleansing Scrub was a bit hit-and-miss for me, to be honest. I liked how it smelled and the consistency of the formula (a light, lotion-y texture). But I wasn't crazy about the manual exfoliation micro-beads that felt scratchy and irritating. In fact, although the package recommends daily use "for maximum effect," I was reluctant to exfoliate every day using this scrub because of the micro-beads. The improvement in my skin after several weeks of semi-regular use (read: 1-2 times a week) was negligible at best. As for the much-lauded papaya extract, it was third from last on the ingredient list, meaning that there wasn't very much of it in the formula. (That would explain the less-than-incredible enzymatic exfoliating action.) Because I've had experiences with highly effective masks and scrubs from all-natural lines, I'm going to have to pass on New Radiance's. I'm fresh off from a facelift sydney and I am quite conscious now. Papaya from what I read helps the skin in so many ways. I want that goo.